and a higher sense of self-esteem. This is why millions of parents are using martial arts to supplement their children’s education. We offer children’s programs for ages Ages 4-5, Ages 6-10, and Ages 11-14. Call today for a free, no obligation introductory class. All of WKFA’s programs are age-specific, and nowhere is this more important than in the children’s curricula. It must be remembered that children are not “minature adults” physically, mentally or emotionally. Therefore we pay careful attention to teaching the appropriate techniques, exercises and concepts to the various age groups. 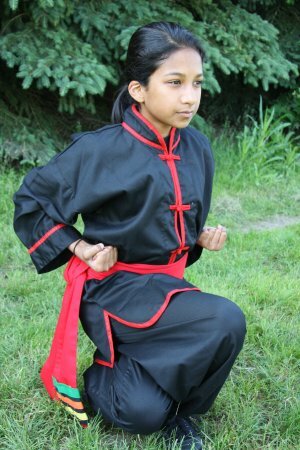 The benefit to the students is their better understanding, safety, enjoyment and improvement in the art of Kung-fu.